Distant Space Scene With Asteroids In Orbit Around Gas Giant Planet. Loop. 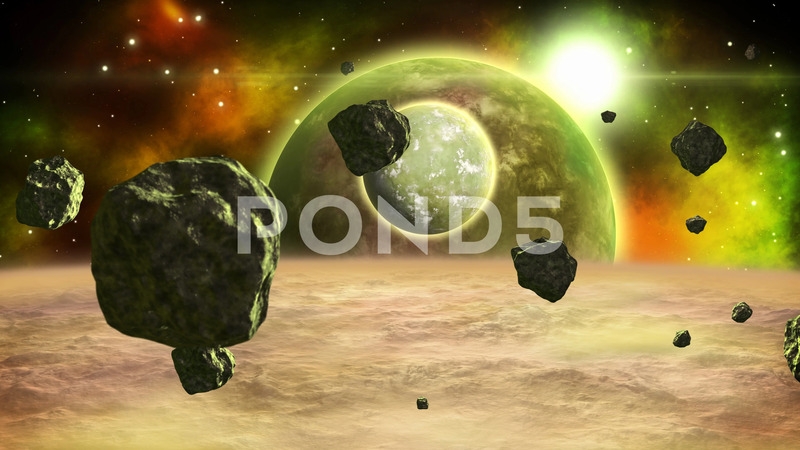 Description: Space landscape with twinkling stars and rotating planets. Asteroid belt spinning around a huge alien planet.